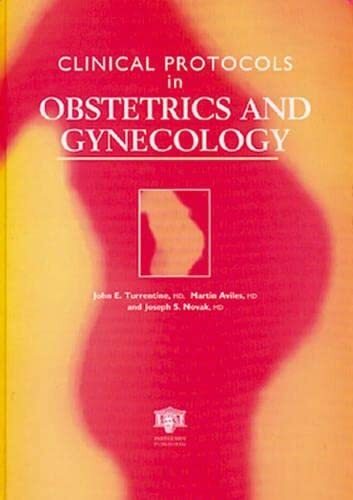 Based on ACOG technical bulletins, OB/GYN publications, articles, textbooks, computer sources, and the authors' vast personal experience, Clinical Protocols Obstetrics and Gynecology provides over 100 clinical protocols to ensure that everyone is on the same page when working in a team environment. Flowcharts and outlines make common problems seem simpler and are easy to refer to when running from room to room during a busy day in the office or hospital. <br /><br />From abortion through dystocia and pap smears to Zidovudine, the book is designed for quick reference. Using the alphabetical table of contents you can easily find an outline or flowchart on topics common to OB/GYN practice. The book serves as a supplement to knowledge gained through more detailed texts. It allows you to quickly find the clinical 'meat' you need immediately, without having to read through the thick pages of a textbook. <br /><br />With its unequalled amount of authoritative information presented in an easy-to-use format, Clinical Protocols in Obstetrics and Gynecology is a definitive reference for use in office, practice, and hospital settings. John E. Turrentine is Clinical Professor of Obsterics and Gynecology for the Medical College of Georgia and Director/Instructor for Dalton State College of Surgical Technology, University of Georgia, USA.